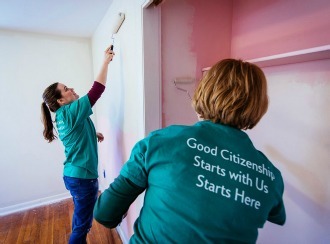 Citizens kicked off its Let’s Connect program just over a year ago, an effort aimed at coordinating face to face sessions between colleagues and company leaders to engage and have meaningful conversations. The Let’s Connect forums have been attended by thousands thus far and provide an opportunity for colleagues to hear about our long-term strategy of growth and development as well as to raise questions. To honor the program’s one-year milestone, we asked some of our Let’s Connect hosts and leaders to share what makes Citizens a special place to work? The people, by far, are what make Citizens such a special place to work. Through good times and challenging times, we continue to work together to exceed the expectations of our customers. Everything we are collectively undertaking for the enterprise itself as we become independent; our stakeholders (new and old); and ultimately, serving the customer. It’s an exciting time to be part of this organization as we’re in the midst of a turnaround. There is no day that is the same as the one before it, and I find that entrepreneurial opportunity rewarding. We all are shaping the final outcome. The people. Citizens has a strong culture with a sense of community and family. Our vision is inspiring. We have a plan to become a top-performing regional bank, and our credo focuses on all the right things to get us there. I have built a long career here because we are constantly changing and we have grown considerably. This has provided me the opportunity to do many different things in many different places, which has kept me challenged. The commitment and flexibility of our colleagues and their dedication to community service. 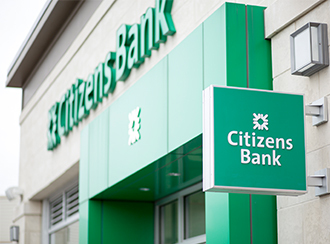 Read about life at Citizens Bank and our various career paths in banking.